Chances are that if you're an X-Men fan to any capacity, you'll recall the debut of fan favorite character Gambit played by Taylor Kitsch (Lone Survivor) in the 2008 film X-Men Origin: Wolverine, which itself is far from a fan-favorite. Now the character will be making yet another appearance on the big screen (And a chance at redemption) with the upcoming film X-Men: Apocalypse from director Bryan Singer, as well as in his own solo film. Singer hasn't revealed much about the upcoming sequel aside from its titular villain, but now we have our first bit of casting confirmation (And it's sure to swoon the ladies). Actor and comedian Channing Tatum has already shown interest in portraying the character when asked about it in the past, and now it seems he's won over Singer and Fox for the part. 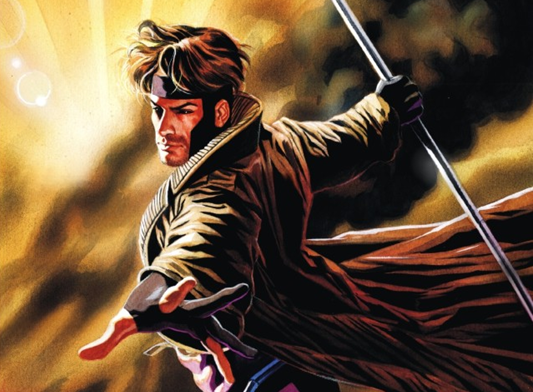 The news of Tatum's casting comes courtesy of X-Men franchise producer Lauren Shuler Donner, who in the past had already expressed her interest in bringing the character of Gambit back to the big screen with Tatum filling the role. 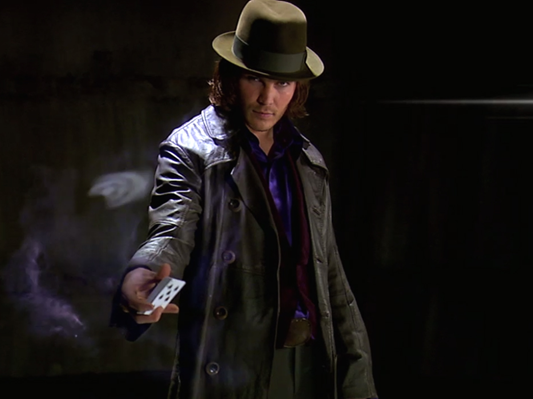 When asked in an interview about the future of the Gambit character in this film series, Donner was quick to confirm that the mutant is indeed a part of the studio's future plans, and will be played by Tatum. With X-Men: Days of Future Past only a week away from it's release in America, director Bryan Singer has already begun answering some lingering questions concerning the films sequel, X-Men: Apocalypse. Gambit was one of the many characters Singer mentioned he'd like to see in the upcoming sequel, so this all but confirms that we can expect Tatum to make his first appearance in the film. This is of course not the first time we'll see the character if Gambit get the big screen treatment, as I stated above, he was in fact one of the many mutants jammed into X-Men Origins: Wolverine. While the that version of the character as portrayed by Taylor Kitsch may have had a look very accurate to the comic book character, he lacked much of the characters signature personality and his famous Cajun accent. Kitsch hasn't exactly proven himself to be leading man material in the last few years, with Battleship and John Carter both having been major box office failures. Tatum seems like a much better sell for the studios, especially if they have plans for a solo film for the character, something that had never been mentioned when Kitsch was playing the role. It's be interesting to see how Singer decides to handle the past appearance of Gambit, and whether it'll be canon to this X-Men: Apocalypse's story. There's of course a lot of controversy over the fact that Donner has revealed Gambit will be getting his own film, especially over many other X-Men characters. Deadpool has always been a top contender for his own film, as fans have been wanting one for as long as this film series has been around, and like Gambit, the character never really got his due in X-Men Origins: Wolverine. As for Tatum himself, while he's certainly been making a name for himself with more dramatic and comedic roles such as in Magic Mike and 22 Jump Street, he still hasn't proven himself to be a major leading action star as seen in last year's White House Down. Tatum as Gambit should be a welcome addition to the already growing roster of X-Men: Apocalypse, which is said to include returning members of the 1970s team along with a young Nightcrawler, Cyclops, Jean Grey, and Storm. 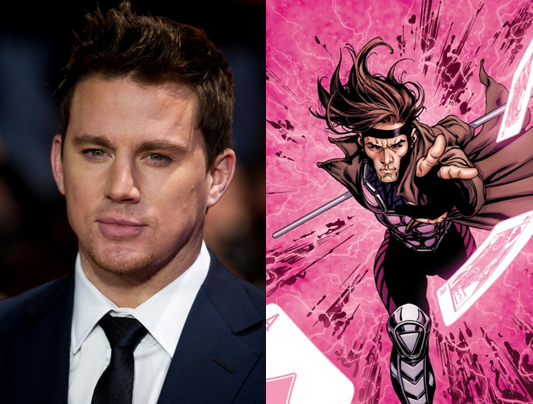 So what do you think of Channing Tatum playing Gambit? Do you think he'll do a better job than Taylor Kitsch in the role? Let us know below!